The St. Louis Cardinals are 20 games over .500 in their first 70 games. In 2005, the last time the Cardinals won 100 Games in a season, the team also started 45-25. Even after dropping Game #71, the St. Louis team holds the best record in the MLB – and hold a 2.5 Games lead over the Cincinnati Reds in the NL Central. Seventy games down. Twenty games over .500. A record of 18-9 against National League Central Division opponents. 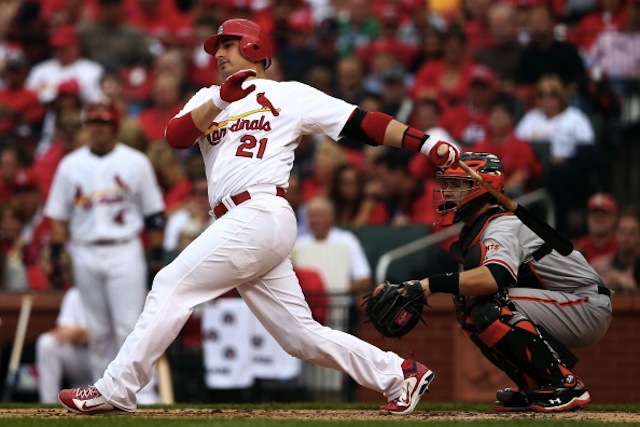 The St. Louis Cardinals have been a model of success thus far in 2013. May was a record-setting month for the St. Louis Cardinals, tying the franchise record for most wins with a whopping 20 victories. 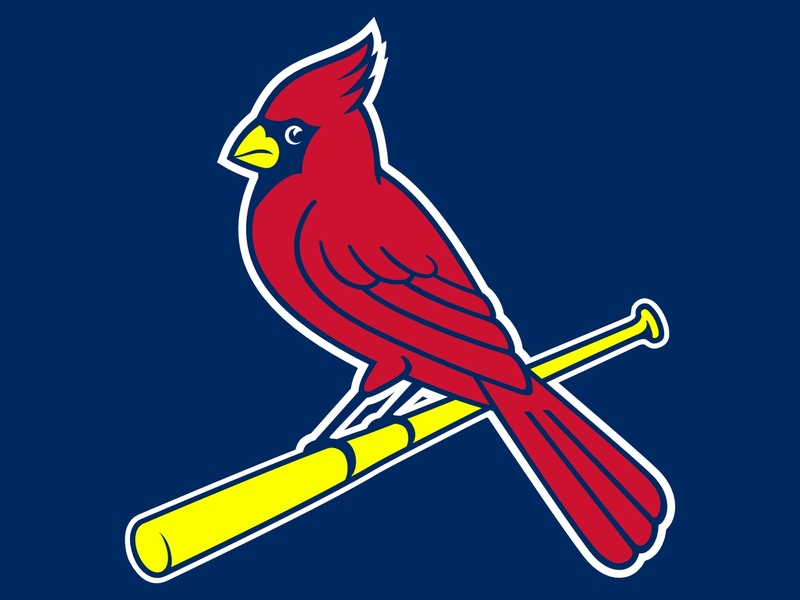 So far this season, the St. Louis Cardinals are playing as good of baseball as they have played in years. They are well on pace for a 100-plus-win season. For Cardinal fans everywhere, this season has been a ton of fun to watch. Just how good are these St. Louis Cardinals, though? After what was a record-setting month of May, the first half of the month of June has been sluggish so far. The Cardinals are 9-7 this month and have struggled with their consistency of late. Just this past weekend, the Cardinals lost their first series since the last weekend in April, dropping 2-of-3 to the Miami Marlins on the road. The Cardinals are not the best hitting team in baseball. They have not scored the most Runs. And they are far from the top when it comes to hitting the ball out of the ballpark. So what is the key with the team? The answer is Timely Hitting and Consistency. The team does not hold first place in any of the major offensive categories; however, they are very close to the top in many of those categories. In all of Major League Baseball, here is where the Cardinals rank in specific offensive categories. Although lacking the power numbers in 2013, Allen Craig has been on a tear at the plate, especially in RBI situations. Craig leads the St. Louis Cardinals with 51 RBI. He has been a clutch player for the Cardinals this season. A .313 hitter in 2013, his average skyrockets when there are runners on base, jumping up to .435 with Runners In Scoring Position and .486 with RISP and 2 outs. The pitching staff for the St. Louis Cardinals has been incredible in 2013. For everything that they have been through, it has been amazing to see the consistency with this staff. The pitching staff is the main reason why the Cardinals have had such success this season. To start off the season, the rotation was to look like this: Adam Wainwright Jaime Garcia, Lance Lynn, Jake Westbrook, and rookie Shelby Miller. However, Westbrook went down with and early injury and missed a few starts. Also, while Westbrook was on the 15-day Disabled List, Jaime Garcia also went down with a shoulder injury. The Cardinals then announced that Garcia would miss the remainder of the 2013 season, as he would require surgery for his shoulder. So what did the Cardinals do to fix these injury issues? For one, they kept on hitting and scoring tons of runs. But secondly, they turned to a bunch of rookie pitchers who could not have filled in more nicely than they did. First up was John Gast. Gast started three Games for the Cards before he too went down with an injury. Next up? Tyler Lyons. Lyons has not necessarily been the best pitcher in the rotation. But given the scenario, where he is just thrown into the rotation to fill in for an injury, he has done a nice job in that role. Lyons has started 5 games so far and has a record of 2-3 with a 4.65 ERA. Finally, 21-year-old prospect Michael Wacha. Just one year ago, Michael Wacha was pitching for Texas A&M in the 2012 NCAA Regionals. This guy hardly had a year of professional experience and he is thrown into the starting rotation for the best team in Major League Baseball. No pressure. But in three Starts, Wacha posted a 1-0 record and a 4.58 ERA. Not too shabby. Not only did these three get thrown into the rotation, countless rookies have been in the St. Louis Cardinal Bullpen in 2013, including Carlos Martinez, Seth Maness, Keith Butler, and Kevin Siegrist. Only two of the next eight series for the Cardinals are against teams that currently have a winning record. With the way the Cardinals have played in 2013, they could easily build on their incredible record and turn this into a season to remember for years to come. 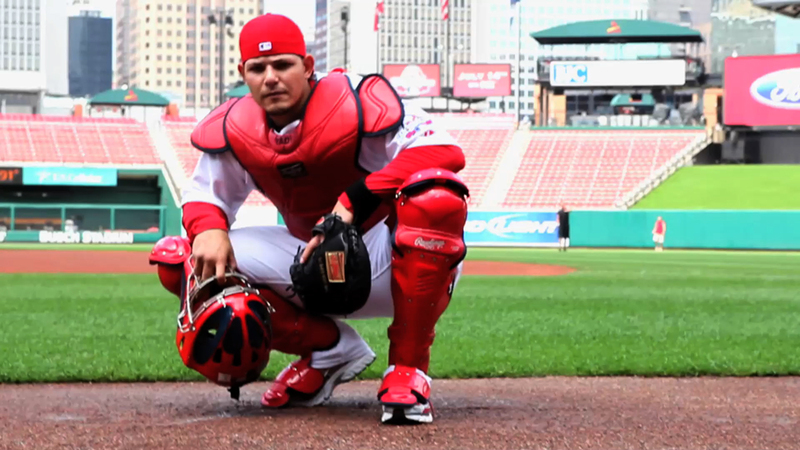 Then there is the year that Yadier Molina is having, read the captioned picture below. Molina has been a huge part of the Cardinals success since 2004. The team is 10-4 in their last 14 Playoff Series. Molina has hit .299/.352/.741 in 224 AB in those Post Seasons. His WS #’s are even better at .341/.423/.855. Molina has also hit .344 for the NLCS and WS combined. Now yoi can add regular season impressive numbers to the list, Molina is currently leading the NL in Hits (92) and a .367 Batting Average. The DR . The 30 Year Old is authoring his finest regular season campaign in his decade of baseball – and is playing MVP caliber baseball. He is a stalwart defensively at his position – and the Starting Staff is putting up video game type of numbers despite all of the current injuries. A big thank-you goes out to our Cardinals Correspondent Landen Crouch. Landen is a huge fan of the St. Louis Cardinals. He has followed them almost religiously since he was 7-Years-Old. In recent years, though, he has discovered how deep his passion for the game of baseball is. His dream is to visit as many ballparks as he can in his lifetime. My name is Landen Crouch. I am a husband, dad, and follower of Christ. 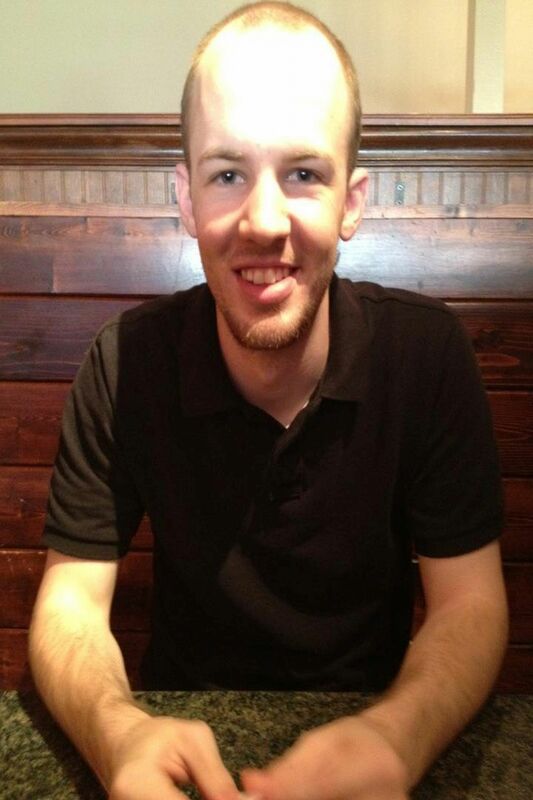 I work as Worship Pastor and Youth Pastor at The Refuge Church (myrefugechurch.tv) in Russellville, AR. I am passionate about Jesus, leadership, and just about all things sports. Posted on June 19, 2013, in MLB Player Profiles, MLB Teams: Articles and Analysis, The Rest: Everything Baseball and tagged @landencrouch on twitter, adam wainwright, allen craig, arizona diamondbacks, busch stadium, Cardinals starting pitching rotation, Carlos Martinez, chris carpenter, cincinnati reds, Jaime Garcia, jake westbrook, joe kelly, john gast, Keith Butler, kevin siegrist, kyle lohse, lance lynn, Landen Crouch, michael wacha, milwaukee brewers, NL Central, seth maness, shelby miller, st louis cardinals, Tommy John Surgery, trevor rosenthal, yadier molina. Bookmark the permalink. Leave a comment.